But her storytelling style of first-this, then-that was ultimately confusing. There are too many people in this book without enough context, both in terms of relationships between people and historically. I did get a good idea of why some of the suspicion existed between neighbors, a sense the isolation of New England in the late 1600s, and the weird city-country dynamics that affected how the situation played out. But ultimately, I was done in by the fact that there was so much detail about each individual, who was accusing whom, and what specifically was going on, that I lost the forest for the trees. 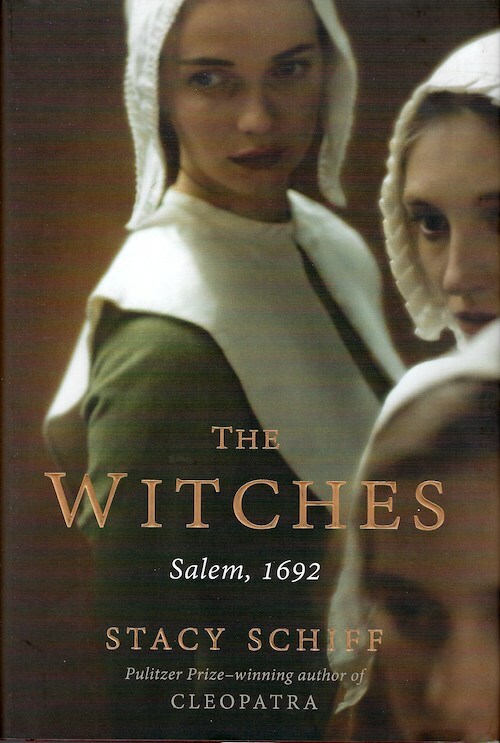 I ended up putting The Witches down when I didn’t want to. But the reading was so hard (and my to-read pile so big) that I felt like I had to. Maybe I will pick this up again at a later date when I have more time and brainpower. I found The Fate of Rome SUPER fascinating. And I’m usually not into the whole Rome-is-dying-lets-find-out-why genre of Roman History. (I prefer stories about people doing their jobs well rather than people screwing up.) 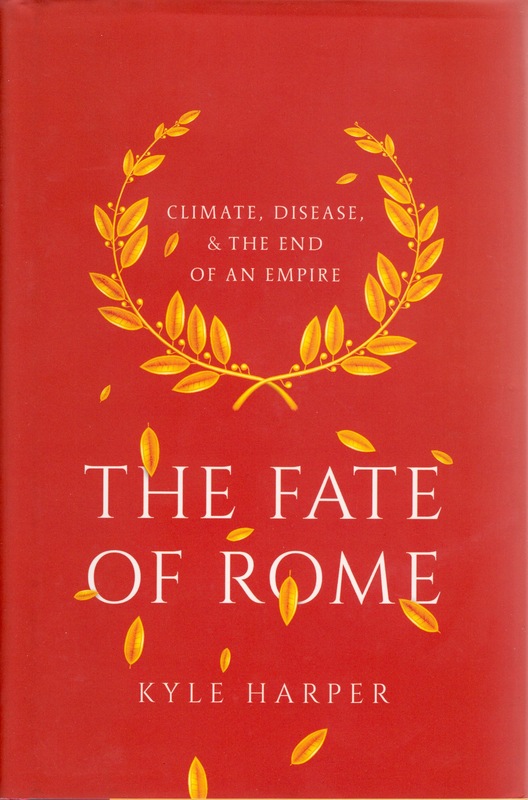 But The Fate of Rome applies all kinds of updated scientific techniques to history, telling a story of disease and climate change affecting the Roman Empire, and how competent (or not) rulers played into that. There are two parts that really stick in my brain. BUT, there is new analysis of the epidemic that hit the Roman Empire during the second century, with a truly appalling death rate of somewhere around 60%. The Antonine plague, as it’s known, has been discussed plenty. It’s typically identified as a type of smallpox. There was a plague about 100 years later that has never been identified, and it is usually assumed to be another wave of smallpox. 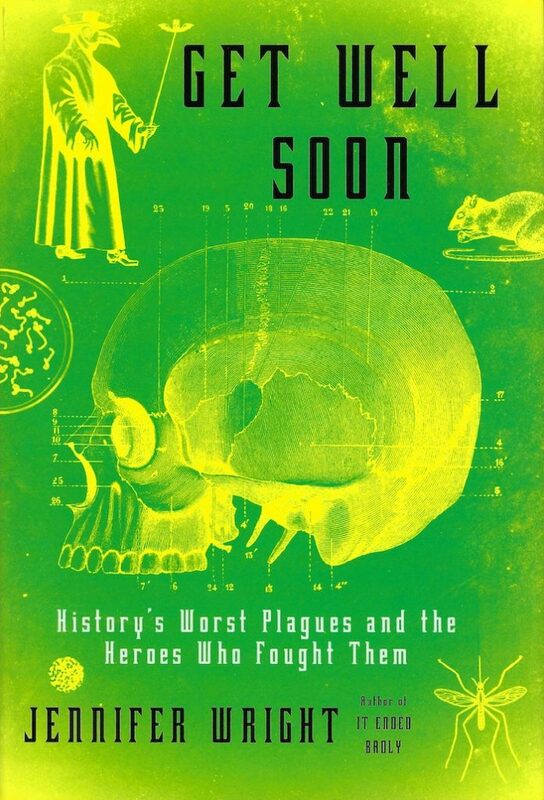 However, using modern epidemiology & pathology techniques and Galen’s discussion of the symptoms, it seems way more likely to be a type of ebola. Both diseases have truly appalling death rates: 30-40% for smallpox, possibly as high as 70% for ebola. Either way, the combination of plagues had a HUGE destabilizing effect on society. The second part that really sticks in my brain requires a slightly longer explanation. By the 500s, the Roman Empire had been split into two and the Western half had fallen. The Eastern Half, now known as the Byzantine Empire, was still around. The emperors would occasionally try to reincorporate the Western Half, but would usually not make it very far. Until Justinian, who was a super-capable human being. He had a general he could trust and who succeed in starting to bring Italy back into the fold during the 530s. And then 536 hit. No one knows why, but 536AD is the coldest year in the last 2000 years. Core ice from glaciers and tree-ring evidence show that there was a HUGE volcanic explosion in 536 and another in 539. This coupled with lower solar activity during the time (measured by the amount of certain radioactive elements in the air caused by solar radiation that then precipitate onto the glaciers), was hugely devastating. No sun means no crops means no food. Combine that with a conquering army sweeping across your land? Disaster. Suffice it to say, Justinian didn’t succeed in rejuvenating the Western Roman Empire. 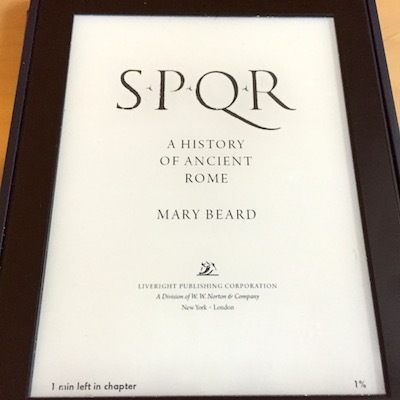 I learned SO MUCH about both how to combine history and science reading The Fate of Rome and so much more about why the Western Roman Empire fell. 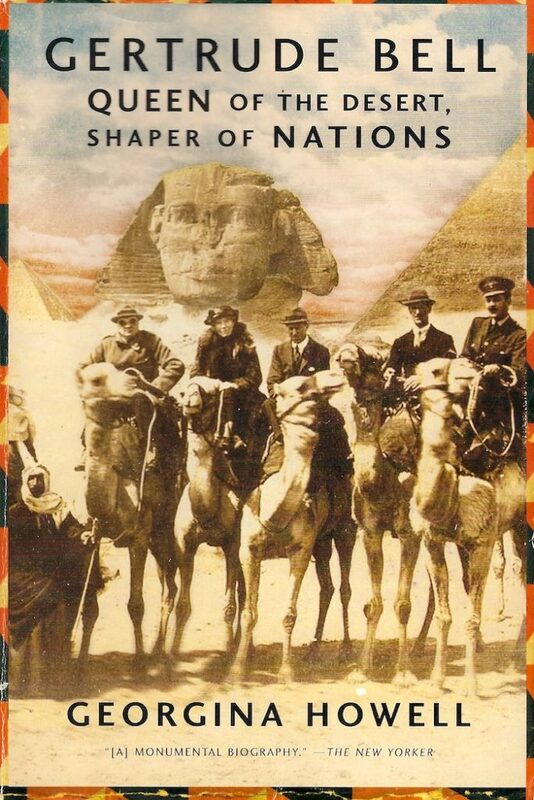 If you are at all into history, I highly recommend it. 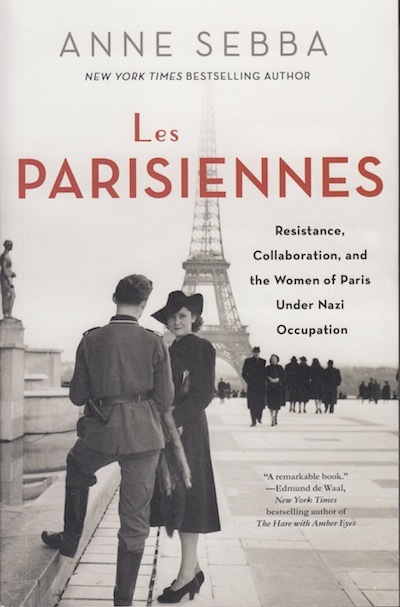 Les Parisiennes tells the stories of women who lived in Paris during World War II. It is a complicated book, structurally, with far too many individual stories told to keep track of all of the people. 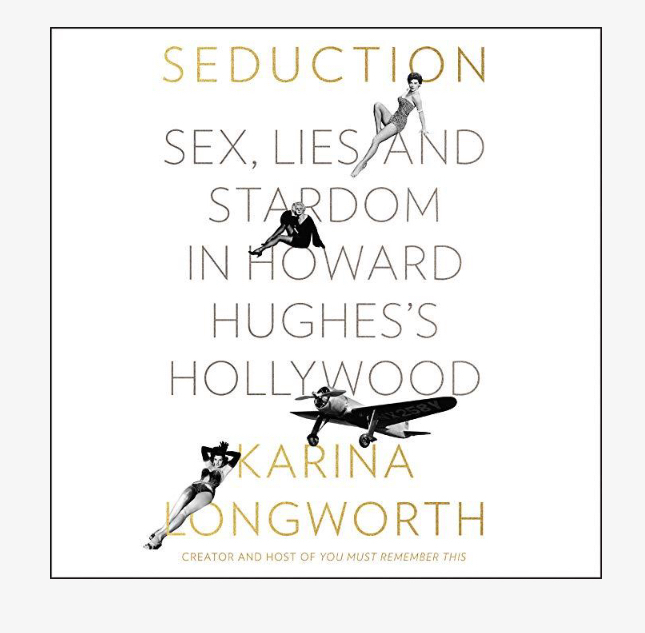 There is a six page list of all of the women mentioned in the book, before the index, if you want to be a better person than me and actively try to keep them all in your head. I didn’t worry about keeping everyone straight because that’s not really the point of the narrative. Les Parisiennes is arranged chronologically and that has the advantage of reminding you that Paris is a big city, full of different people who asked themselves “what do I need to do to survive?” and answered differently. There are the women who collaborated, those who resisted loudly, those who resisted quietly, and those who did what they had to in the gray area in between. I learned about Drancy, the holding area for prisoners before they were sent to concentration camps. During the early 1944 chapters of the book, it does leave Paris for Ravensbrück, the women’s concentration camp. Because it’s a third-person account it’s less emotional than, say, Survival in Auschwitz, but it was still nightmare-inducing. I couldn’t read these chapters before bedtime. The most light-hearted part of the book is, of course, about fashion. No one writes a book about Paris and without including the fashion industry. You learn about the codes embroidered onto hats and belts and about the rather insane turbans women would wear just to piss off the Nazis. There is one memorable photograph of a woman, keeping watch on the top of a building during the liberation of Paris in 1944, wearing a lovely flowered skirt and sling-back heels with a helmet, holding a machine gun. The juxtaposition of the soft and the hard in that photograph is what makes it interesting and it’s the jumble of all these women’s stories told together that makes Les Parisiennes work. 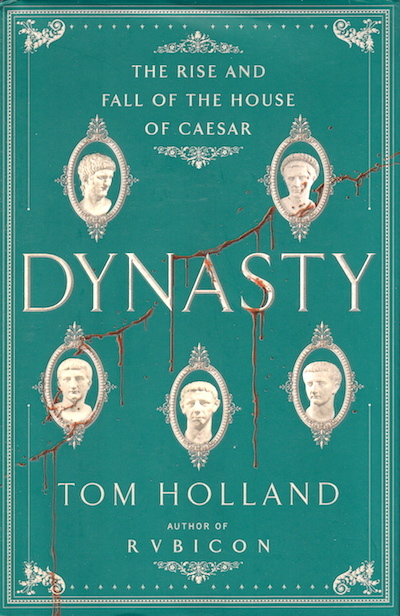 Dynasty is a story of a particularly prominent and dysfunctional family: the Julio-Claudian set of Roman Emperors. It includes Augustus (who started the empire), Claudius (subject to a relatively famous BBC series), and Nero (who fiddled while Rome burned), amongst others. They’re notable because they were the first emperors: Augustus managed the transition from republic to empire; Tiberius couldn’t live up to him; Caligula was either crazy or really spoiled; Claudius was underestimated; and Nero was complicated. It was also a complicated time in the Roman state: how does a republic transition to an empire? Why? 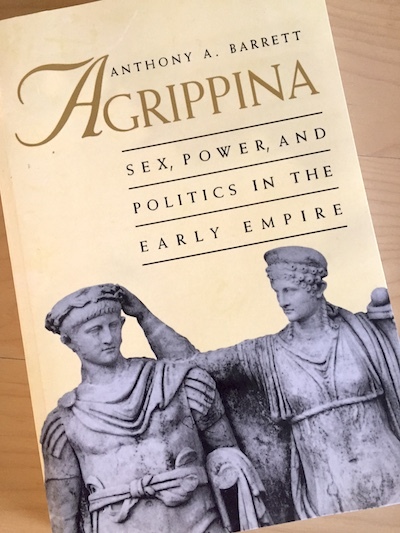 How did the prominence of women in the family (Livia, Agrippina the Younger) effect anything? Dynasty is popular history (not scholarly), and both readable and enjoyable. SPQR is and is not a history of Ancient Rome. It does not cover the entire 1200+ years of the Roman Kingdom, Republic, and Empire. It’s almost more of a media study of Ancient Rome. The fact is that there are few sources, and they’re difficult to verify against each other. In fact, before about 300 BCE, it’s all legend; there are no records of any kind. But we do have the stories, and how people tell the stories say a whole lot about the time they’re writing in. Augustus burned all of Cleopatra’s records; we don’t get anything of her that didn’t pass through his filter. So what do we know of her? What does that tell us about Augustus, the first emperor of Rome? That’s the kind of history this is – it’s different than others and useful as a result. I thought about Rome differently. Queen Elizabeth has just taken the throne. Much has been made about her ability to play many suitors off each other, and about her ultimate “marriage to England”, as it were. But what was she thinking? Why did everything work out the way it did? 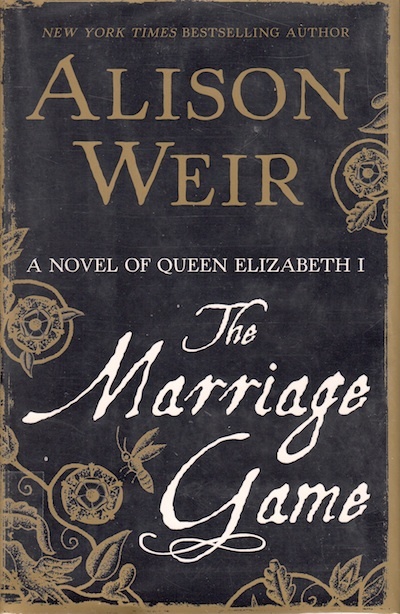 The Marriage Game is a fictionalized version of the story of Elizabeth and not getting married. Don’t. I read it, but I got really, really angry about halfway through. The politics and the power is the interesting bit here – who was she courting and who was courting her and why and how did that play into what was happening in England and Europe? That was what I wanted, not some schmoopy love story between her and Lord Robert Dudley. A love story, I might add, that doesn’t follow traditional narrative structure and so fails on the romance story level as well. Basically: I should have either read a history or something totally made up. Not this weird in-between hybrid. Elizabeth was an incredible woman who was an amazing ruler. The Marriage Game made her so much less. Blech.